The course at Supercross Day Two took to the mud, both naturally and artificially as the frost from Saturday melted and the course promoter doused an additional run up with plenty of water. 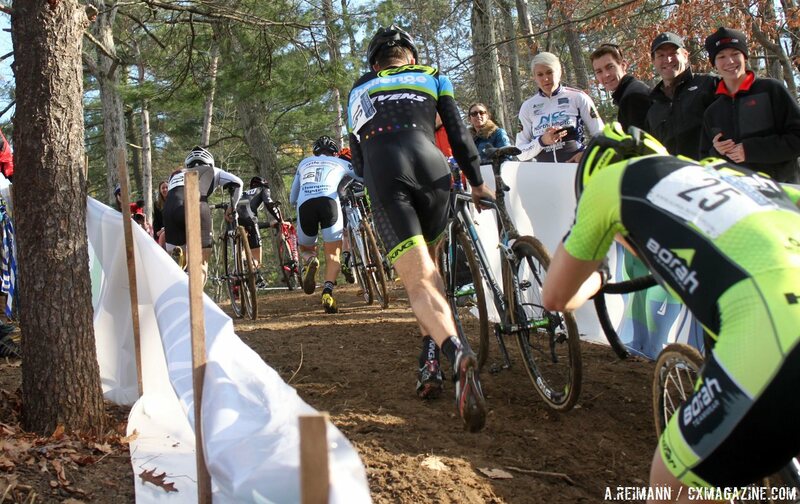 Shoes, wheels and skinsuits were covered in mud by the end of most rides. At the onset of the Women’s Elite Race, three riders emerged early, looking hungry for a win: Arley Kemmerer (PB2), Ellen Noble (JAM Fund) and Mo Bruno Roy (Bob’s Red Mill). Noble, after a hard loss yesterday due to an early celebration, looked especially spirited off the start to avenge her loss. She took the holeshot and stormed up the first climb ahead of the pack. By the time the three leaders arrived to the barriers, however, Kemmerer took control of the race, and knew she didn’t want to grind the race out alongside the young rider today. Cassie Maximenko (Rare Vos/Van Dessel), winner of Cycle-Smart Day Two and HPCX Day Two, was within sight of the leaders early on, but a stumble in the back woods of the course caused her to fall back to mid-pack. 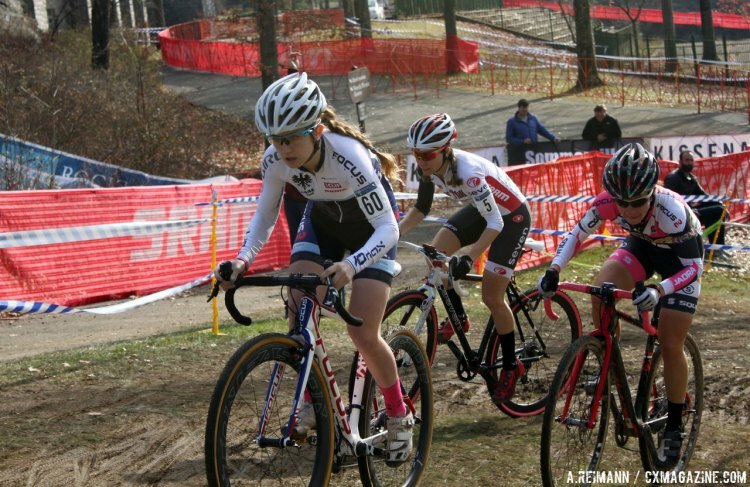 She persevered, however, and went on to take fourth place overall after spending much of the race fighting to get around other riders. Bruno Roy kept a fast pace at third, and is getting stronger as the season presses on into the final month. Kemmerer used every inch of the course to her benefit. At the end of the race she called Supercross one of the most technically demanding American courses, which she felt played to her strengths. The only areas where she lost ground to Noble were on several of the run-ups, one which was a new feature from the day before at the far back of the course, and the other being the stadium star cases. Noble blasted up both, and tried to bridge up to Kemmerer, but the PB2 rider gained time through the mud and difficult corners. Kemmerer was able to finish in first, with Noble following less than twenty seconds behind. 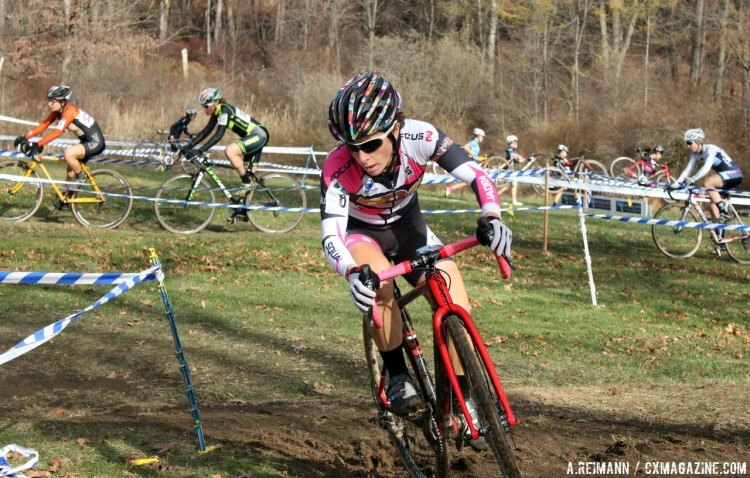 Kemmerer is looking to build on her success in the next month. Last year, she spent a lot of time in Europe around the holiday season and afterwards, and a repeat trip is still being considered for this year, although much depends on her goals heading into the end of the year. Nationals is still well on the tables for the Supercross champion, and she is looking for a great showing in Austin. 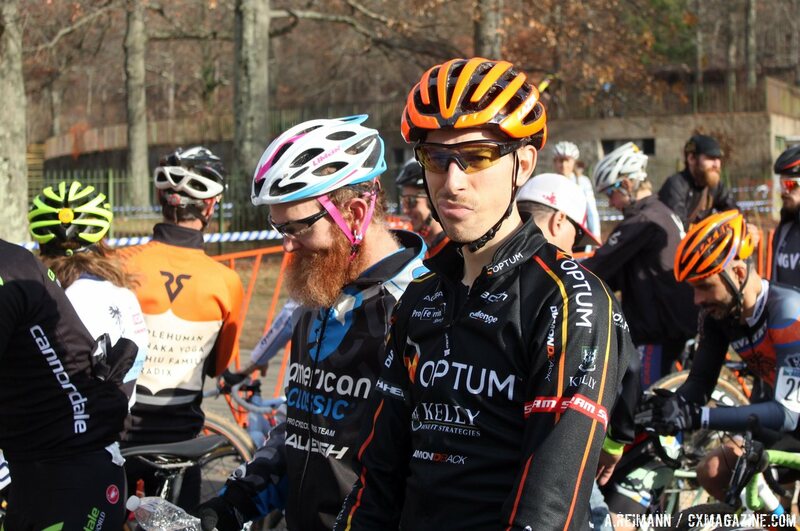 Yesterday at Supercross, Kerry Werner (Optum p/b Kelly Benefit Strategies) saw Dan Timmerman (House Industries/Kindhuman/Ricahrd Sachs) and Cameron Dodge (Pure Energy / Scott Bikes) create separation from him in the middle of the race, leaving the Optum rider to contend for third. 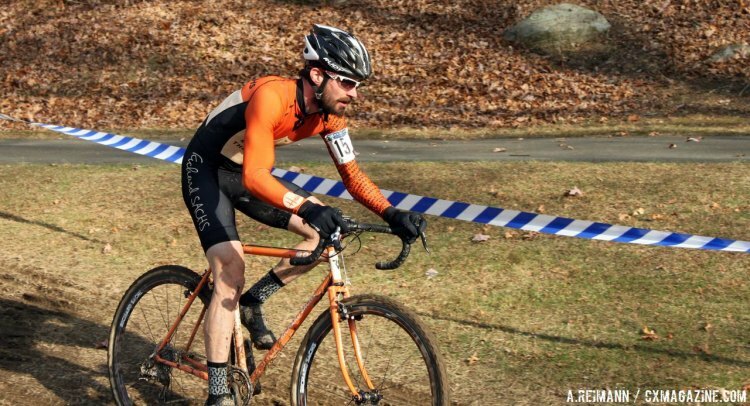 Today, he had to contend with Curtis White (Cannondale p/b cyclocrossworld.com), who was absent yesterday due to the unfortunate passing of his grandfather. While yesterday also saw a large group form at the front and remain there for a while, today’s contenders had different ideas. White looked like he had the most to give today at the start, taking an immediate lead and putting in several hard efforts right after. Timmerman and Dodge, not wanting to be left behind, also separated themselves from the larger group in an effort to track down White. Werner appeared to be content with battling at the head of the larger group for the first few laps, but began making gains later on as the early breaks appeared as if they might have attacked a little too early. He worked alongside Travis Livermon (Mock Orange Bikes) and Anthony Clark (Jam Fund), who would repeat their results on Day Two with the respective fourth and fifth place. With Dodge struggling, Werner eventually passed the leaders, with only Timmerman and White able to remain in contention. As White spent the most gas early on, he looked like he wasn’t able to keep up with the quickening pace, and Werner and Timmerman fought each other to the line. Werner won the race by a slightly larger gap on Timmerman than Dodge won it by the day before, but it was still an intensely close race.